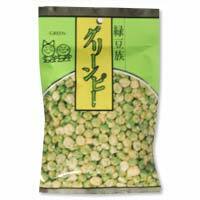 Green peas coated in wheat flour, with fresh-roasted aroma. Each delightful mouthful will please you with the real taste of lightly salted green peas. In Japan, these popular munchies served along with tea or other beverages.